SUMMARY: Some toys are better playmates than others. Luke is in love! 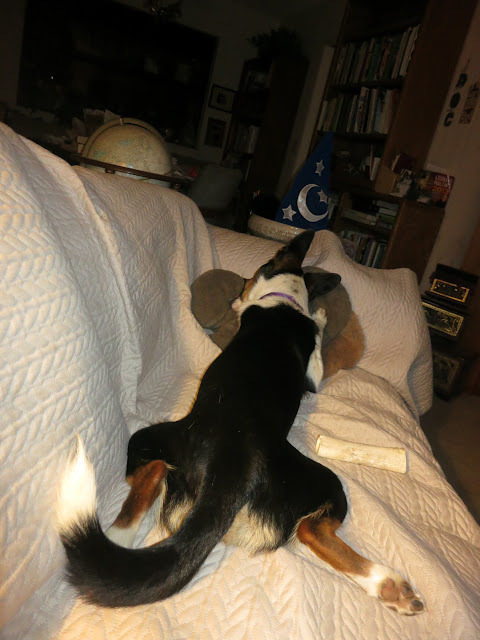 (See: Giant Squirrel Toy) He flings it around, drags it around, er, um, humps it, orjust settles there with his mouth on it, lying still, eyes half closed, not moving at all. This has been going on all day.